Take a short walk from the East Nanjing Road with its designer stores and you'll be in a much more local shopping environment - and soundscape - experience it here in binaural stereo using good headphones. June is the season for the 'Plum Rains' or 梅雨 (meiyu or “may yoo” in Mandarin), so called because it's the time when the plums ripen on the trees. This is a composite soundscape recorded at locations close to the Henan, Fuzhou, Jingling and Middle Sichuan Roads of the Huangpu District during the day and at night. You need to be on The Bund early - between 6 and 8am to enjoy the sight and sound of kites. The one in this recording is a string of foils ... half close your eyes & you can imagine a shimmering dragon dancing in the wind. Towards the end you'll here the purring of stunt kite. This musician uses an amplifier & the acoustics of a concrete shelter to great effect. Chanting, bells, dissonant percussion, whispered prayers. 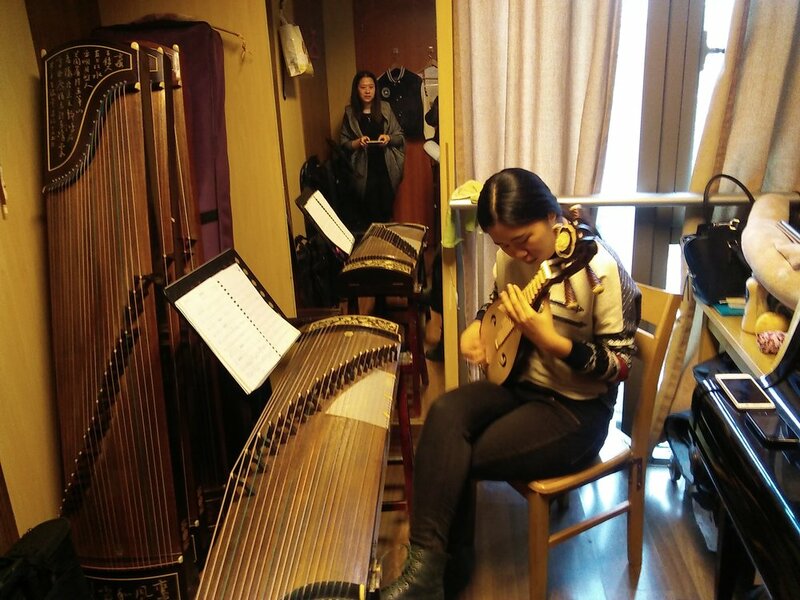 Perhaps one of the most sonically rich and rewarding experiences in Shanghai is stepping inside a temple’s wall – whether it’s to relative hush ... or to a ceremony in full swing. From the street you can barely tell there's a market there - but step a few paces inside the Wanshang market and the air pulsates with the songs of hundreds of crickets - not to mention caged birds of all descriptions. An miss-able stop on any sonic tour of Shanghai. The song you'll hear played on almost every street corner in Shanghai is not a Chinese tune - its 'Quien Sera' - a Mexican song which is just one of a hundred tunes offered for sale on the bootlegged Latin CD - but for some reason they only ever play this one! This soundscape is a medley from several different locations between East Nanjing Road and Peoples Square. Cycle through country lanes beyond the water town of Zhujiajiao on the outskirts of Shanghai and you may stumble across the aquatic center - with two vast Olympic-sized rowing lakes. Its a marvelous place to enjoy a tranquil few hours and enjoy the birdsong - including Eurasian blackbirds, Chinese bul buls and white-cheeked starlings which roost under the eaves of one of the giant stadia. 'HERE BE DRAGONS' - is a 30 minute radio program all about the sounds of Shanghai on Australian Radio National.